After the recent Atheist event in Melbourne, the Catholic bishops of Australia seems to be singling out Atheists as the reason for the current drop in church a attendance. Though Atheists feel that are being made scapegoats. Perhaps the problem could be the other ‘religions’ of Australia? 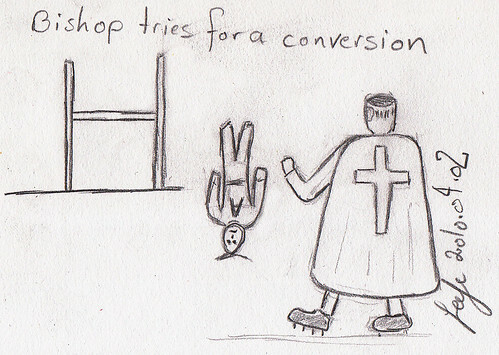 This entry was posted in Comics, Humor, News and tagged cartoon, conversion, drawing, religion. Bookmark the permalink.